Dr. Alan Kolp is chair of the Department of Faith and Life at Baldwin Wallace University and a professor of Religion at the university. Kolp is in demand as a speaker and a retreat leader, teaches a Leadership Colloquium every semester for student athletes, serves on the Lay Advisory Committee at the Jesuit Retreat House in Cleveland, and writes a daily inspirational blog. He received the Strosacker Award for Excellence in Teaching in May of 2015, and has also won the Gigax Faculty Scholarship Award and the Bechberger Award for Human Development. Kolp and Peter Rea are co-founders of the Center for Innovation and Growth (CIG), a campus-wide, co-curricular effort at Baldwin Wallace University to infuse an entrepreneurial and innovative mindset in all students. The two men have collaborated to publish several books and together serve as consultants for businesses, non-profit organizations, and a variety of faith communities. 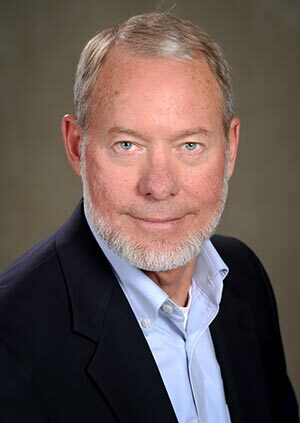 Prior to coming to Baldwin Wallace University in 2000, Kolp taught at Earlham College and Earlham School of Religion in Richmond, IN, where for six years he served as head of the graduate school. He also served eight years as pastoral leader at First Friends Meeting in Richmond. Kolp spent a year in Germany on a Fulbright Fellowship, has taught in England, and been a visiting scholar at the Graduate Theological Union, University of California at Berkeley and at Kellogg College, Oxford University. He earned degrees from Guilford College, Harvard Divinity School, and a Ph.D. from Harvard University.